A rotating panel of guests who debate issues facing podcasters and podcasting as a media format. 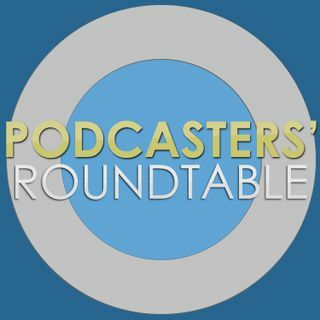 Each Roundtable features a new podcaster from the community of listeners to talk less about the how-to and more about the subjective issues facing podcast producers. 128: At What Speed Do You Listen? 126: Are You Feeling Burned Out? 125: Is Your Podcast Launch Freaking You Out? Chill Out. 124: You Make Podcasts, So What. What Else You Got?? 123: How do you find more listeners in 2019? 121: You Spent How Much on Podcast Gear!!?? 120: Does Pandora Offer Anything New? 119: What Do Your Shownotes Look Like?